Welcome home ! Enjoy your new 1590 sq. 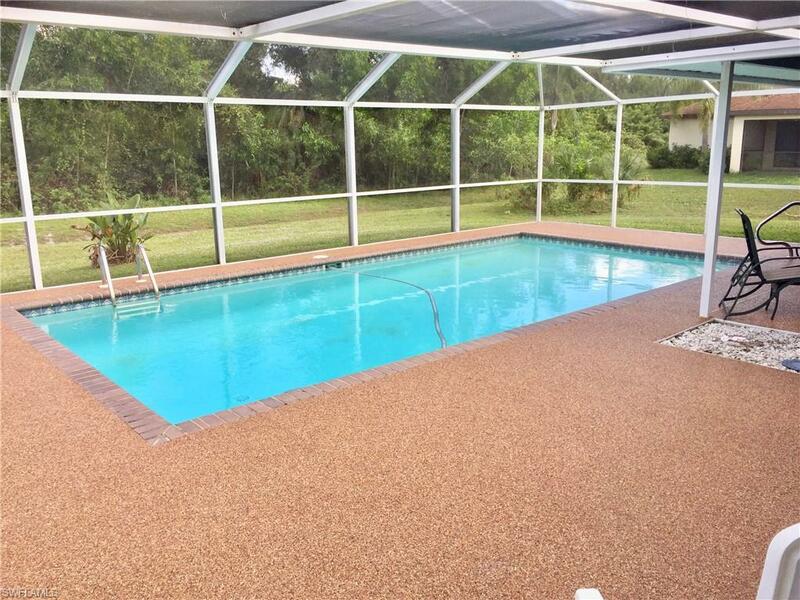 ft. 3 bedroom 2 bath pool home located on a half acre lot located in NE area of LA. 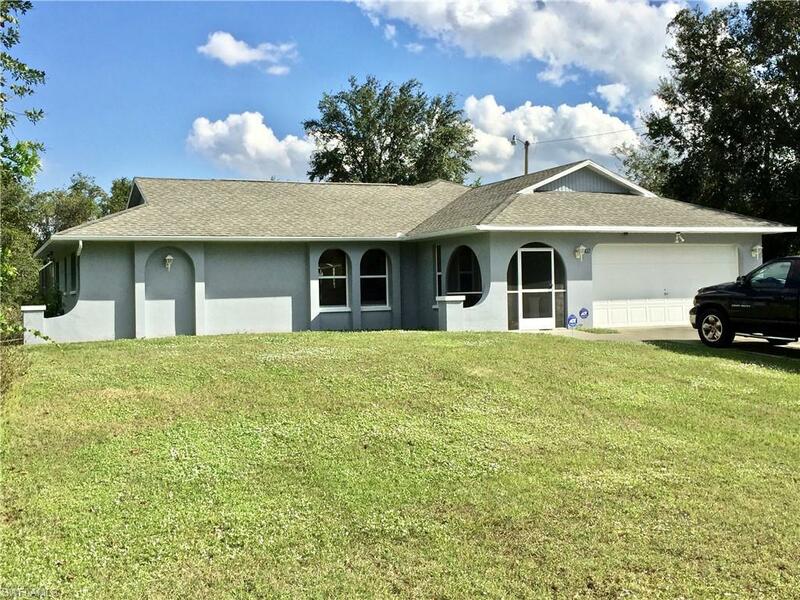 This move in ready home has been freshly painted inside and out and comes with all new flooring. Also it is equipped with new water filtration system and A/c system recently serviced, roof is in great shape. 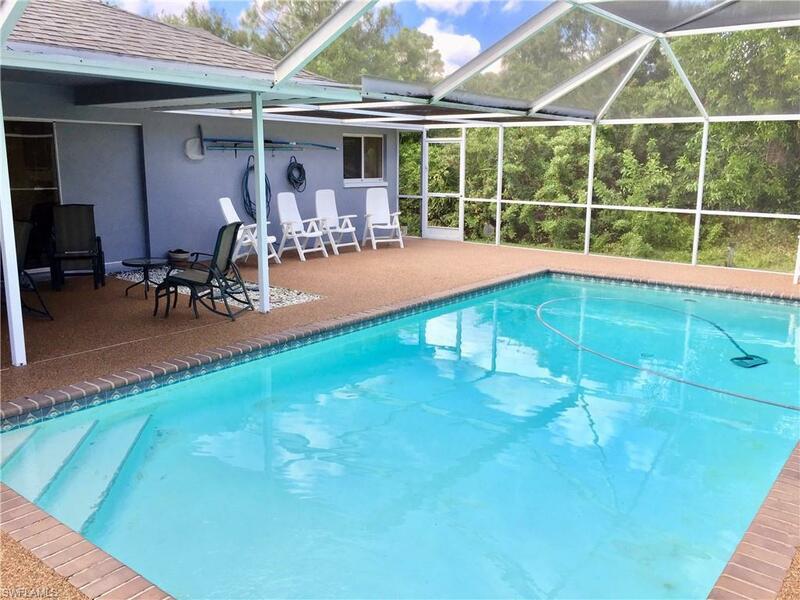 Stainless steel appliances, and a huge inside laundry room This home boast a oversize lanai and screened enclosure to enjoy the great weather we have this time of year. 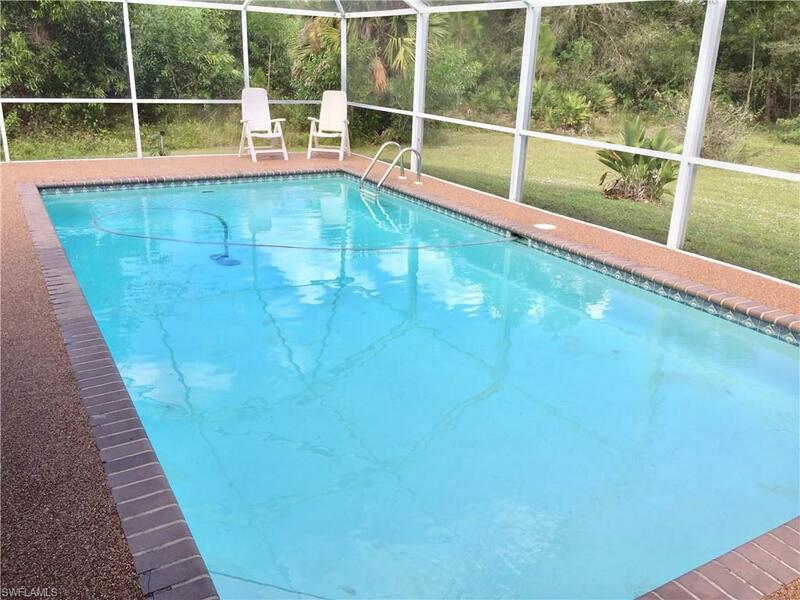 This is the best priced pool CBS home on this size lot in Lehigh Acres. Schedule a showing asap! It won't last long! Listing courtesy of Tom Miller of Re/Max Realty Team.